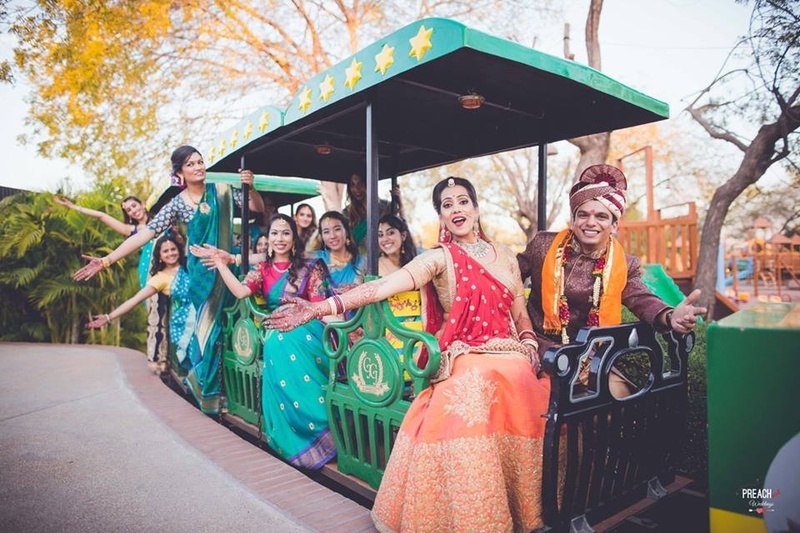 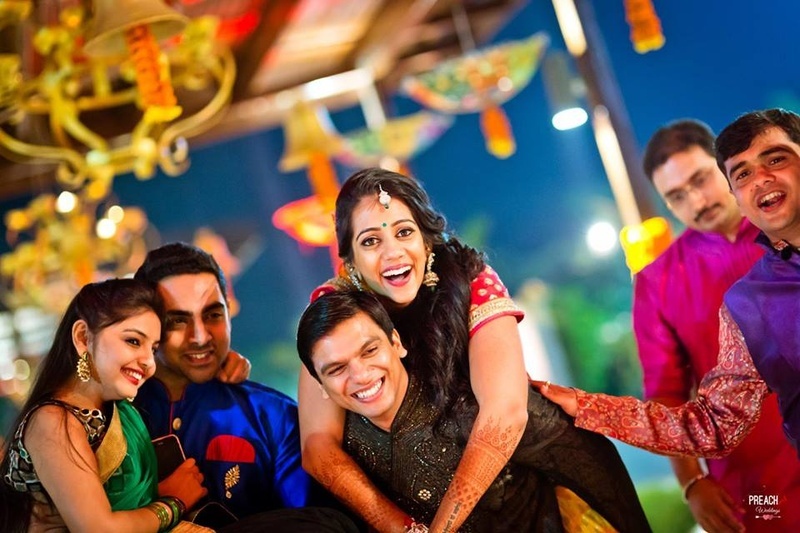 The amount of smiles, cheer and happiness in this super-cute wedding is just contagious! 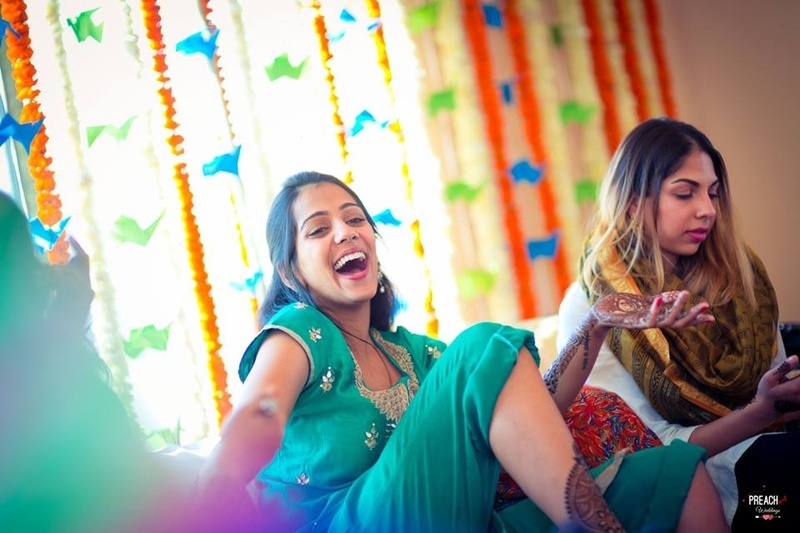 Mehndi / Sangeet decor was mostly rajastani and very colourful -they had khaatlas set up with mehndi ladies and the entry way had candles and decorative hanging umbrellas. 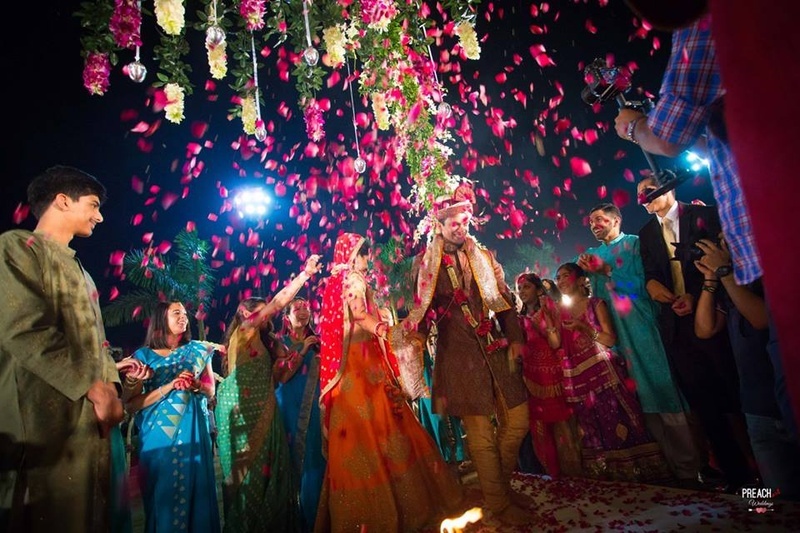 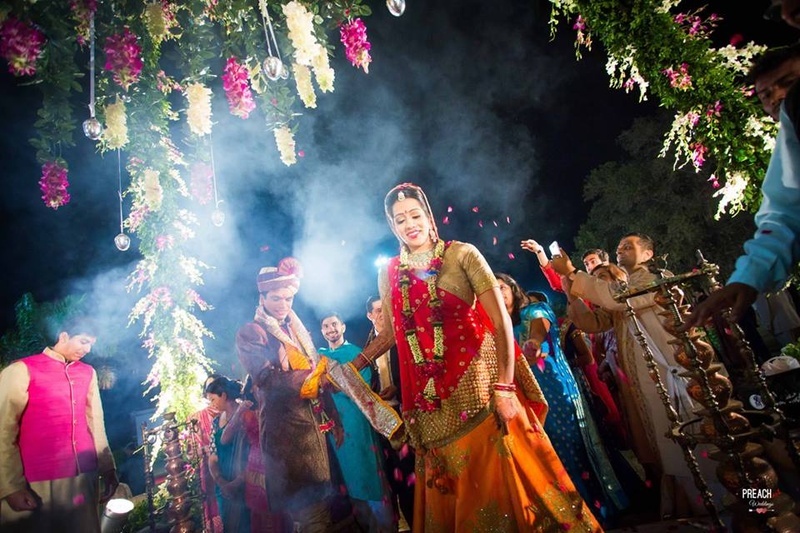 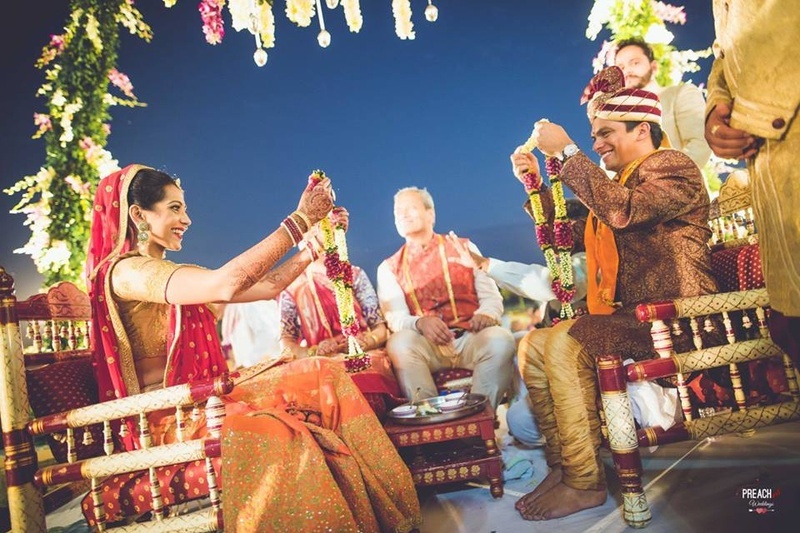 For the wedding, the mandap and entryway was decorated with strings of white and purple flowers. 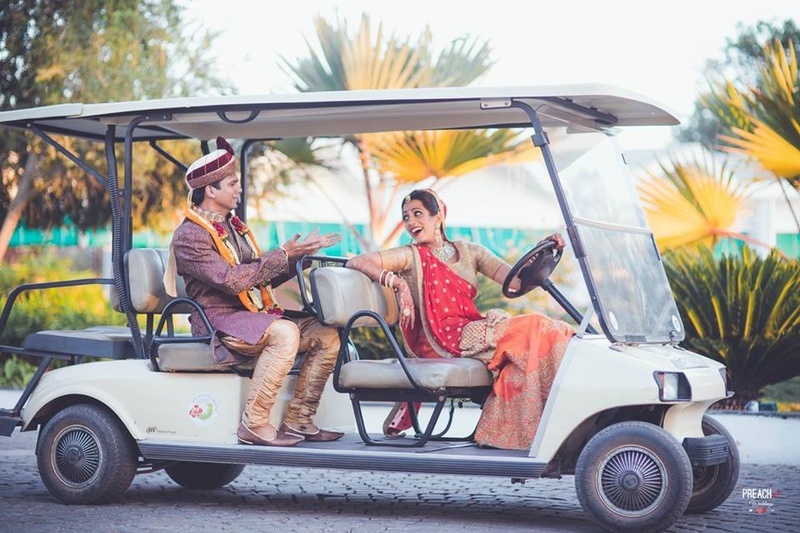 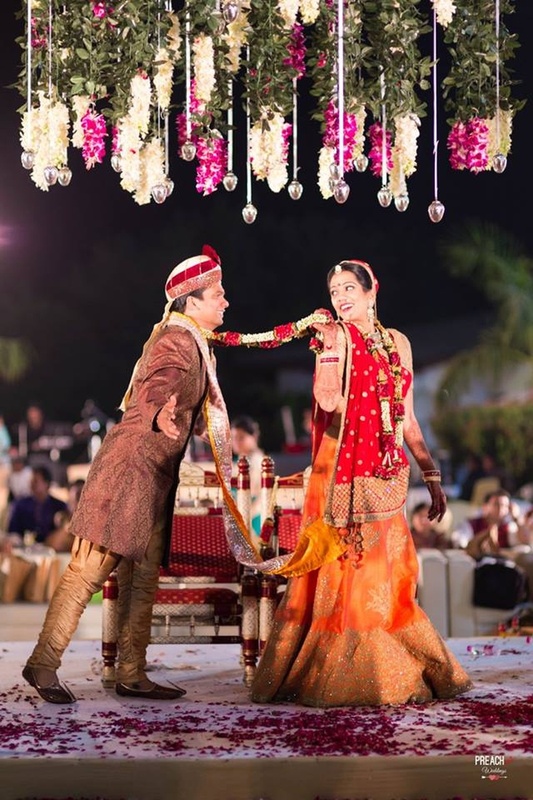 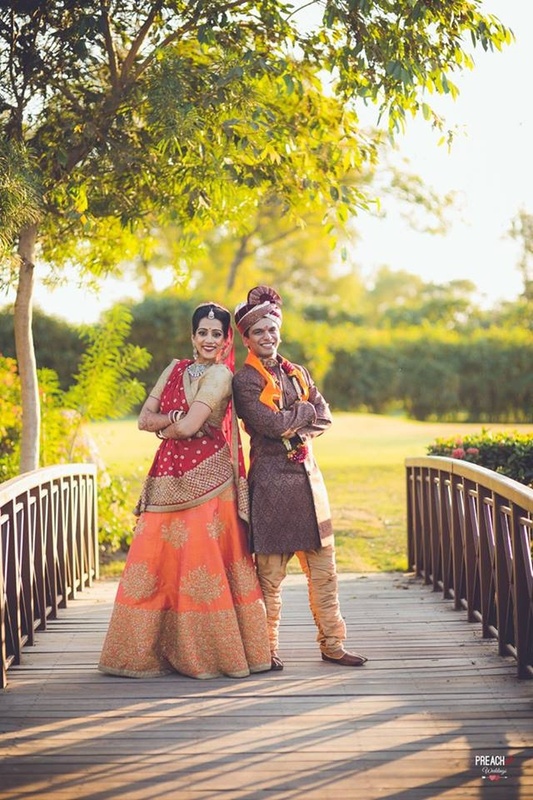 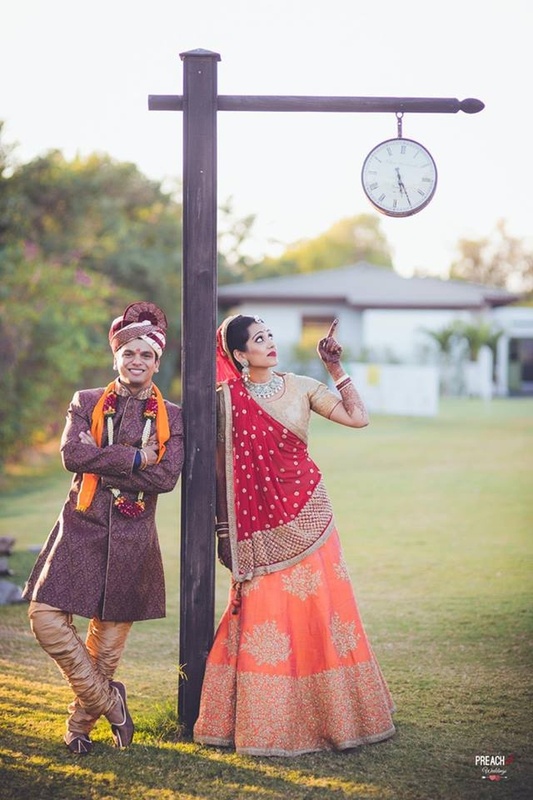 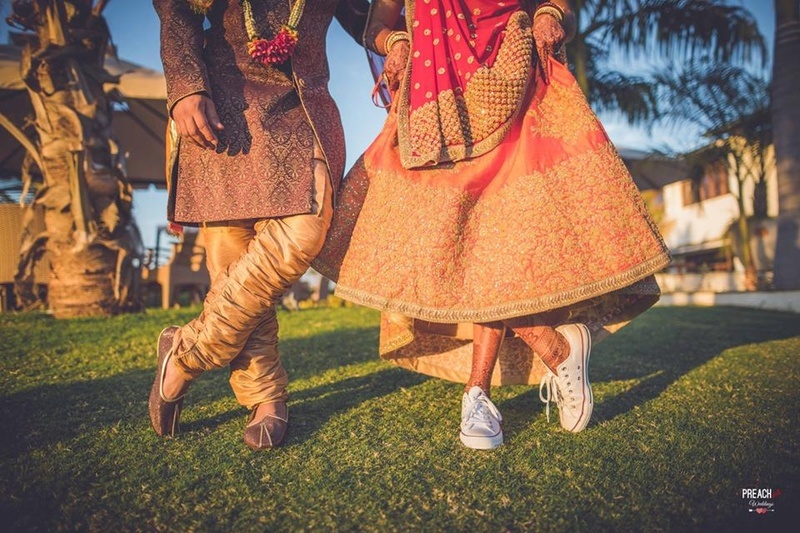 What we especially loved was the bride's choice of white converse sneakers with a traditional orange and red lehenga-choli! 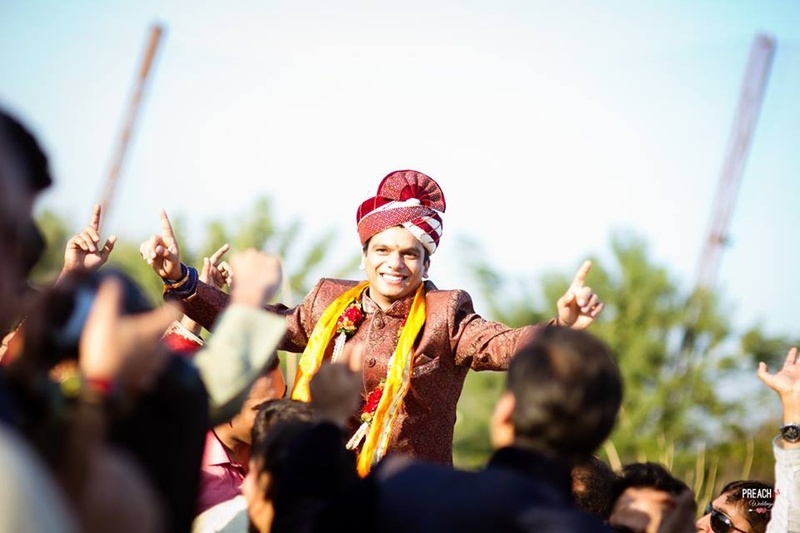 Wearing sea blue suit with gota patti work for the mehendi ceremony. 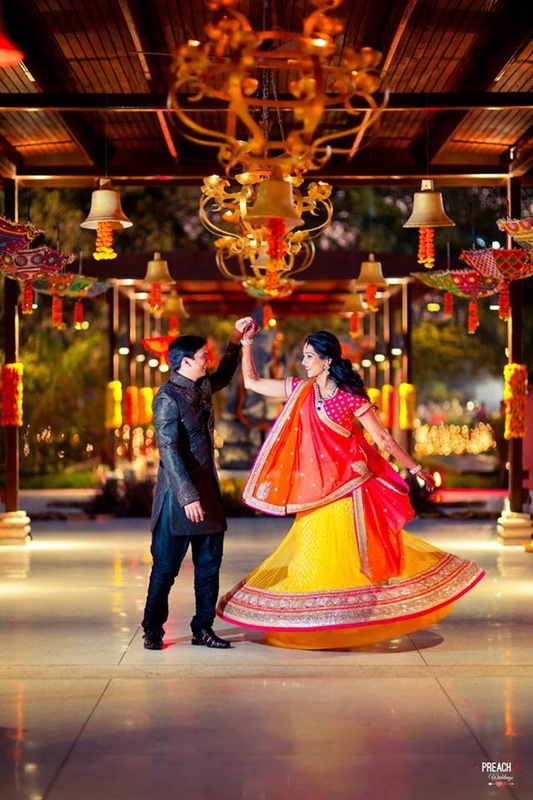 Anisha dressed up in a red and yellow lehenga for the sangeet ceremony. 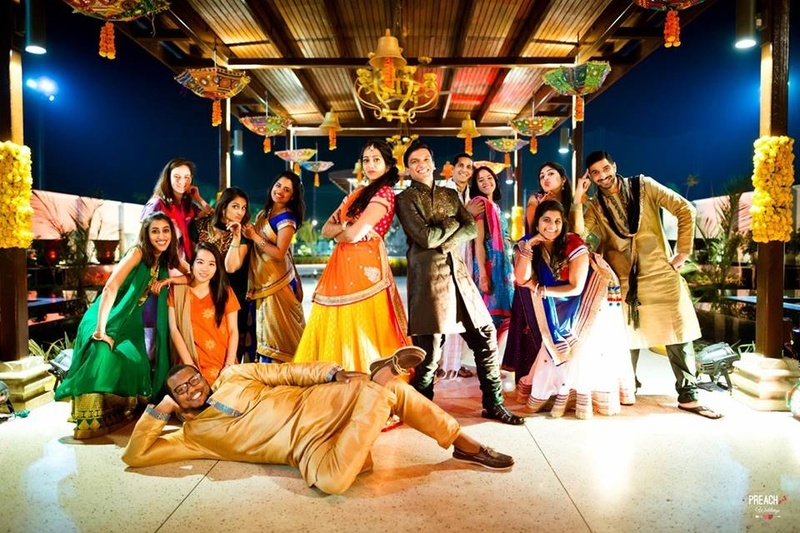 The wedding squad at the sangeet ceremony. 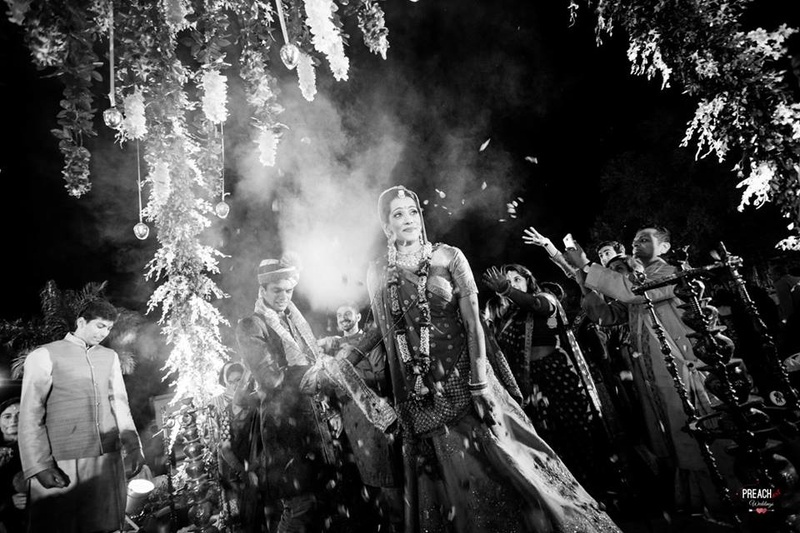 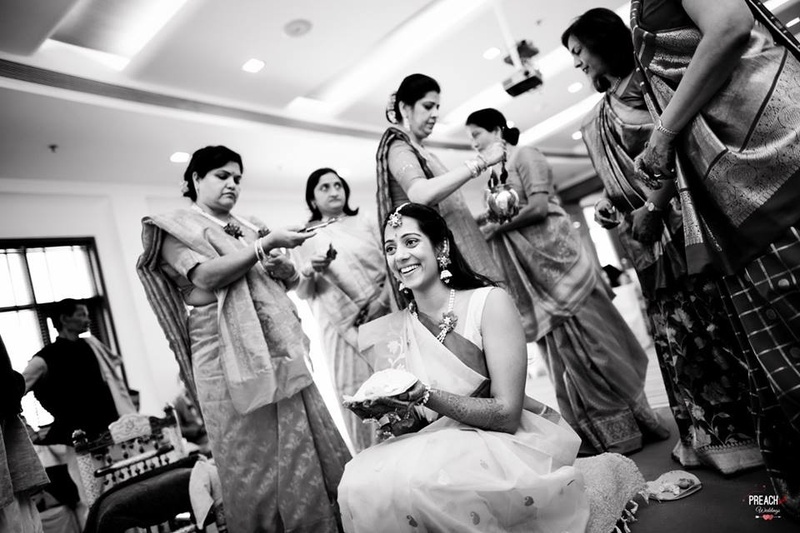 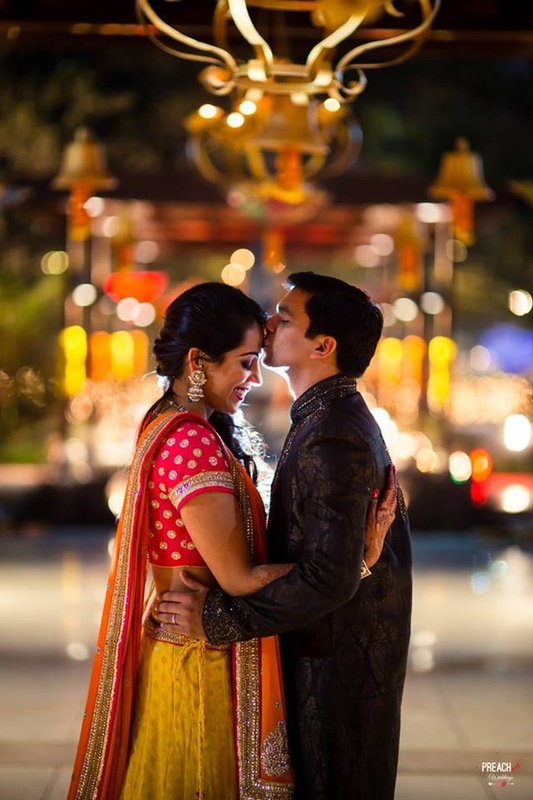 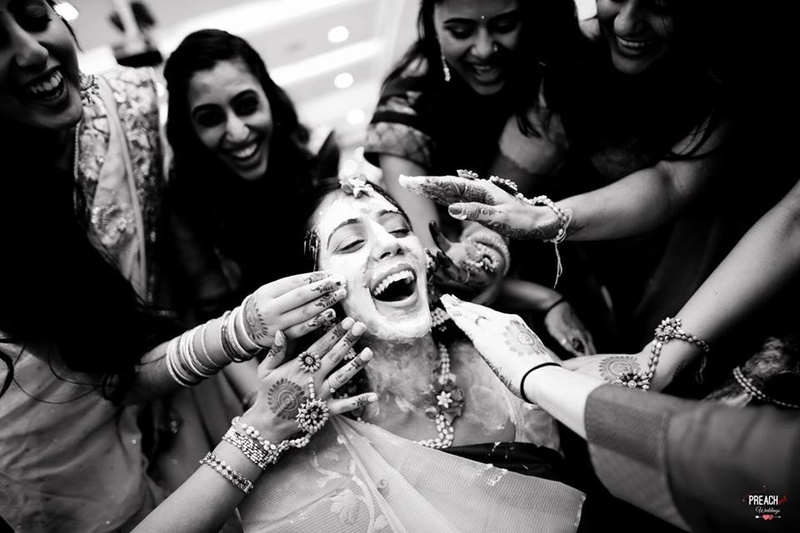 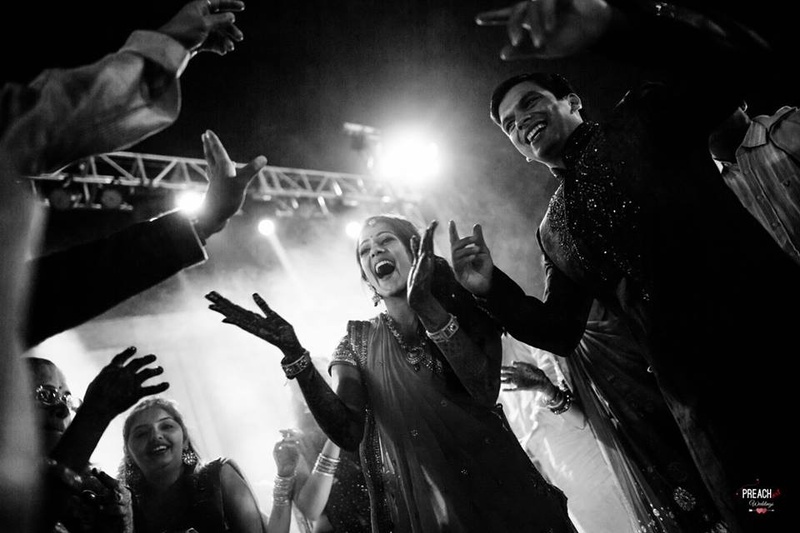 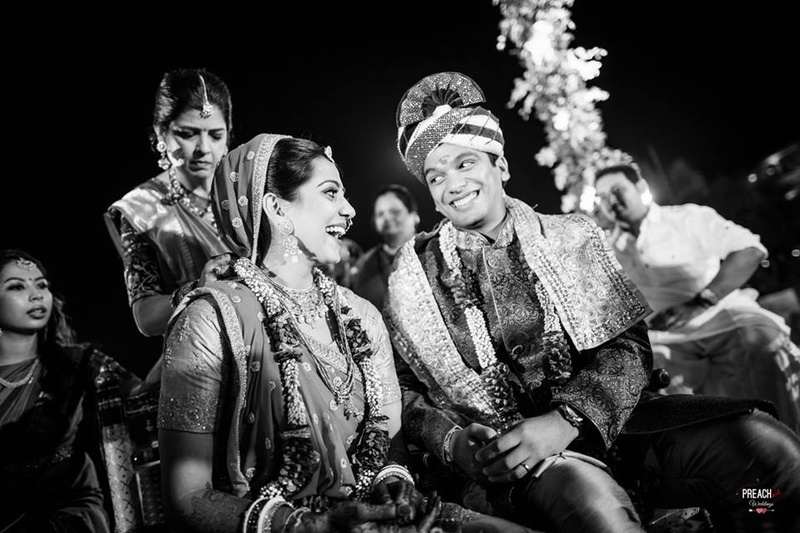 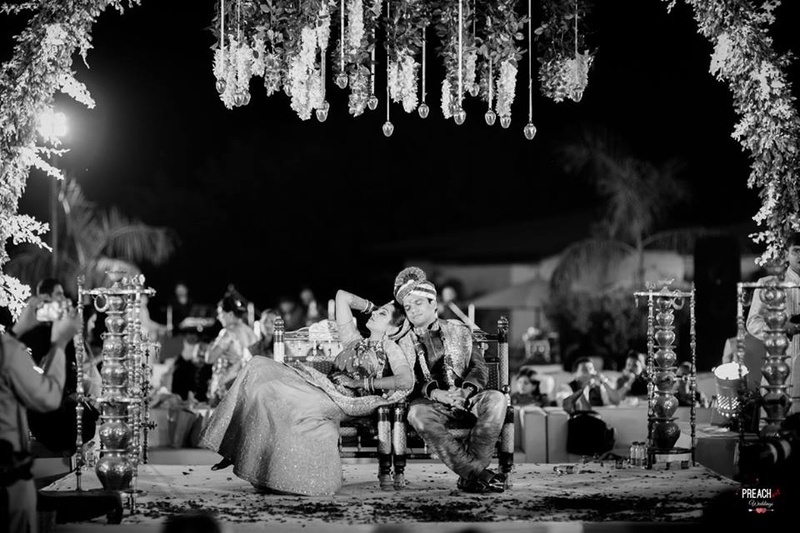 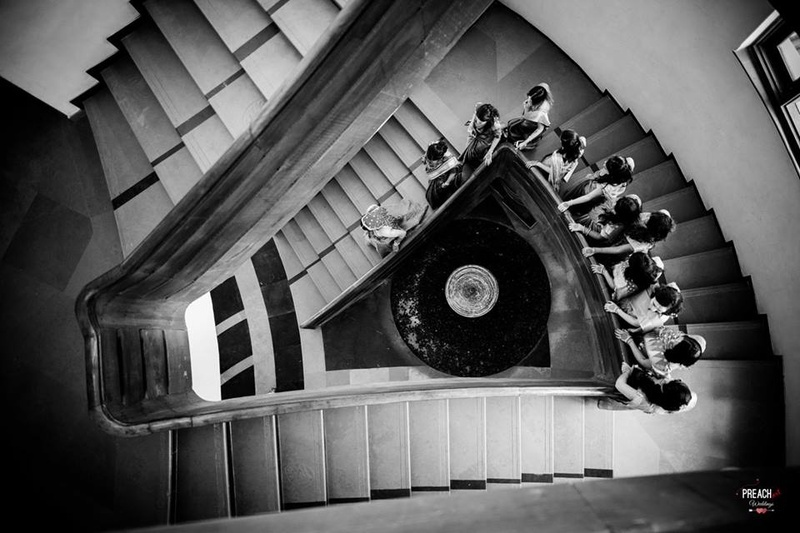 Black and white Haldi ceremony photography by PreachArt. 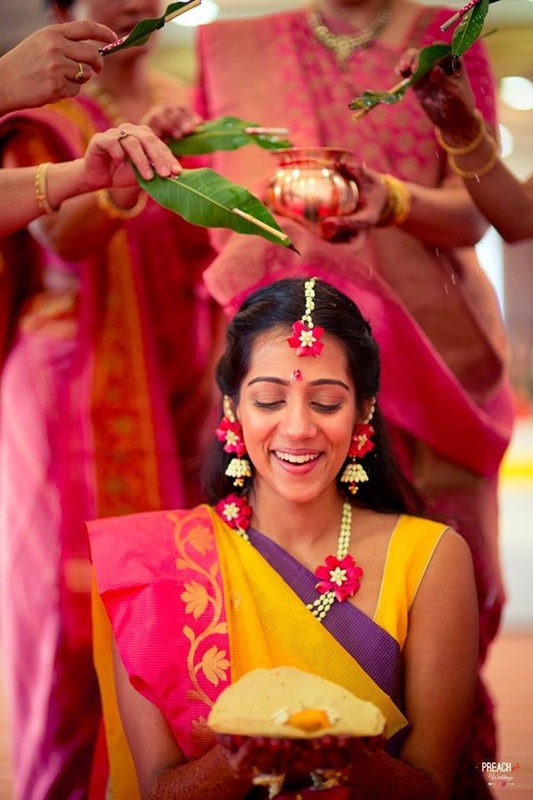 Dressed in plain yellow saaree styled with minimal floral jewellery for the haldi ceremony. 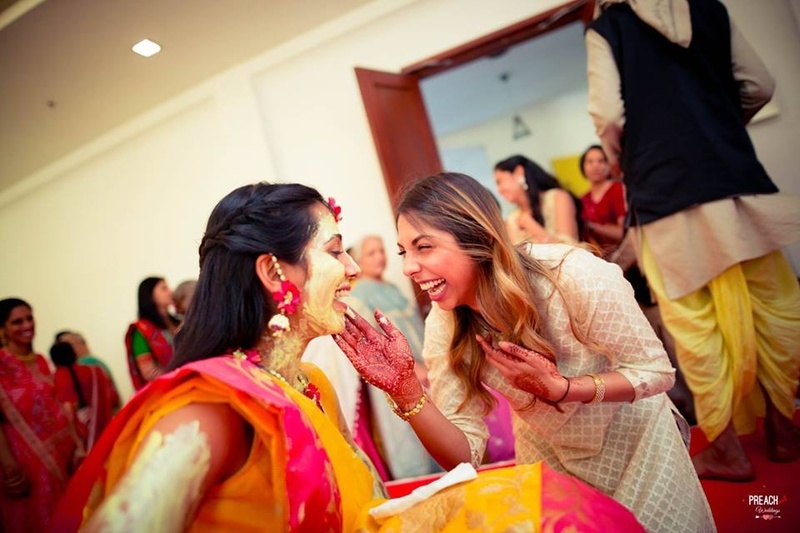 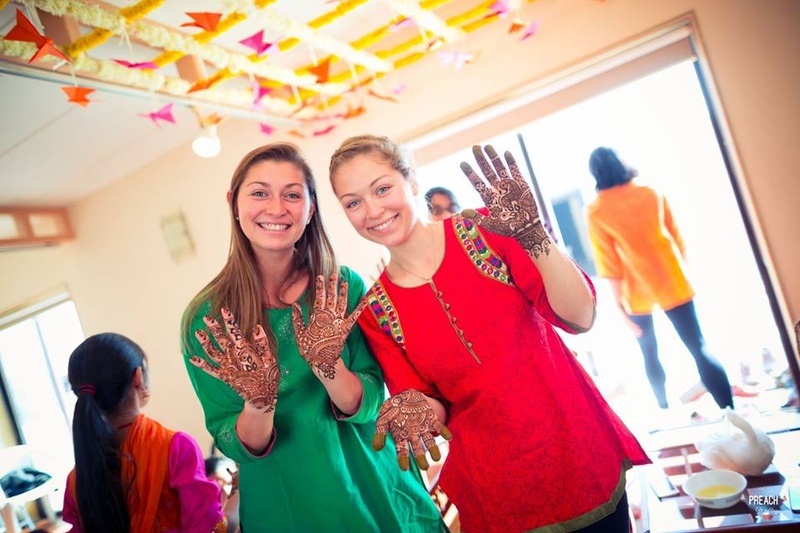 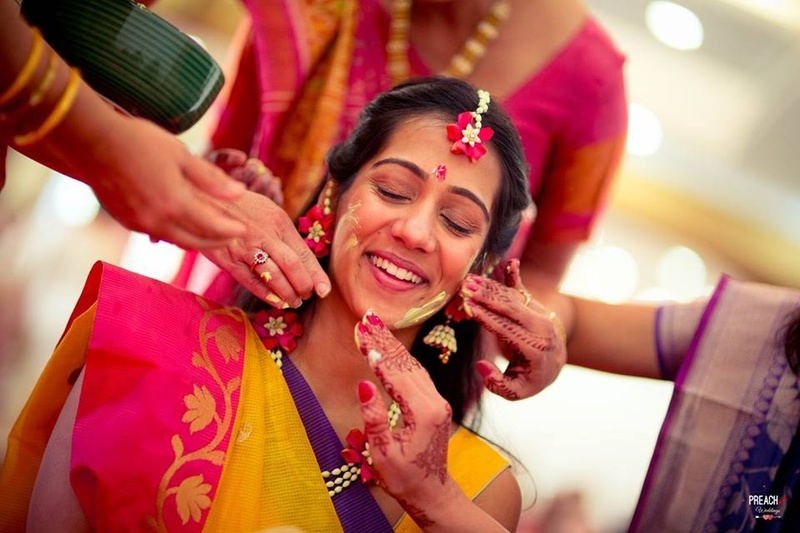 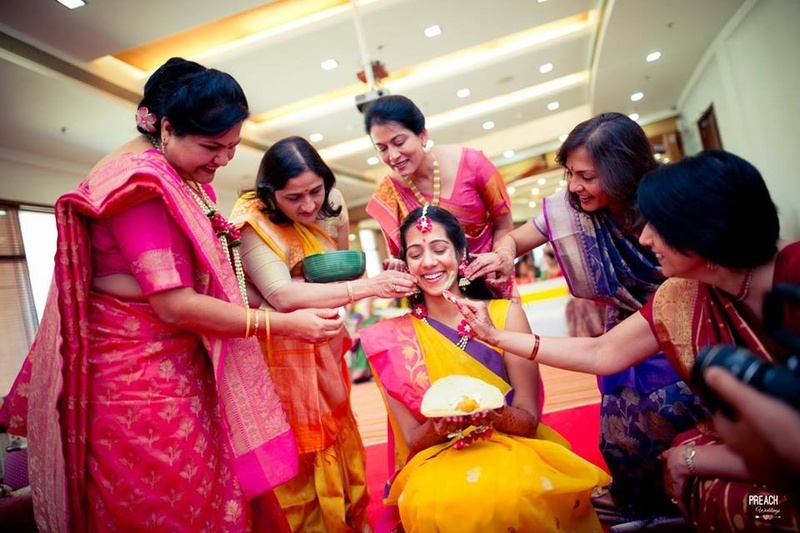 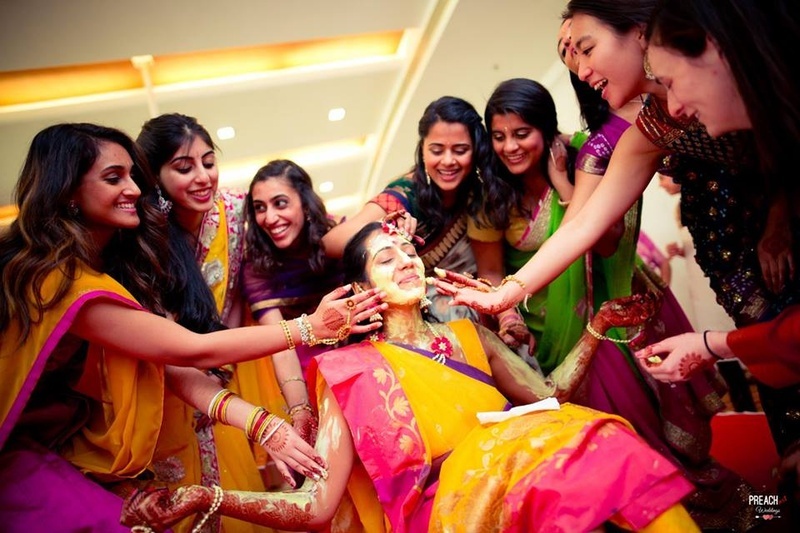 Bridesmaids putting haldi paste ! 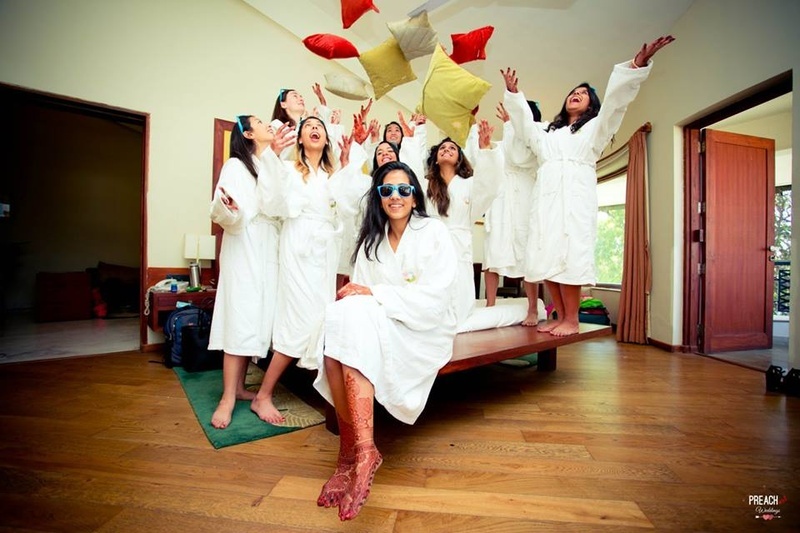 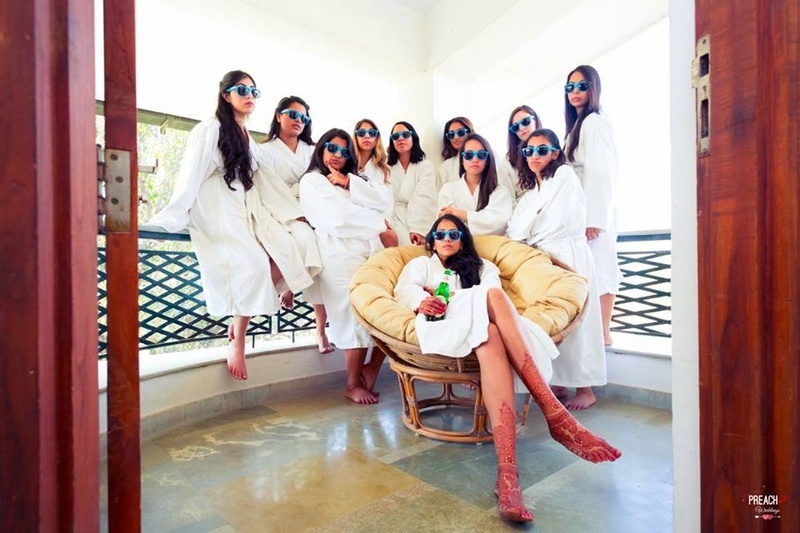 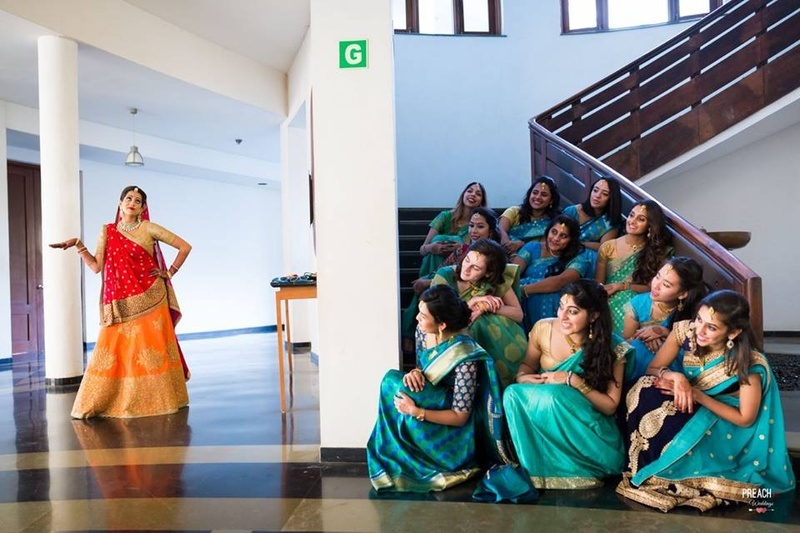 Bridesmaids and bride's pre wedding fun. 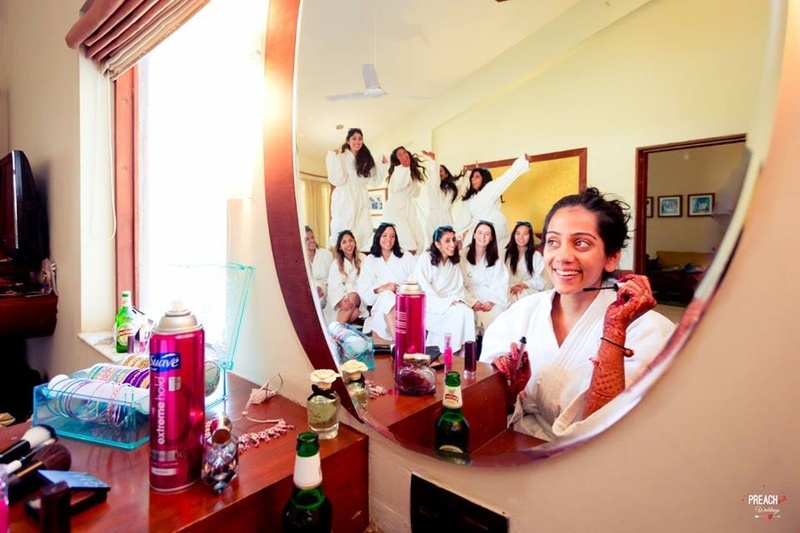 Quirky bridesmaids shoot done by Preach Art. 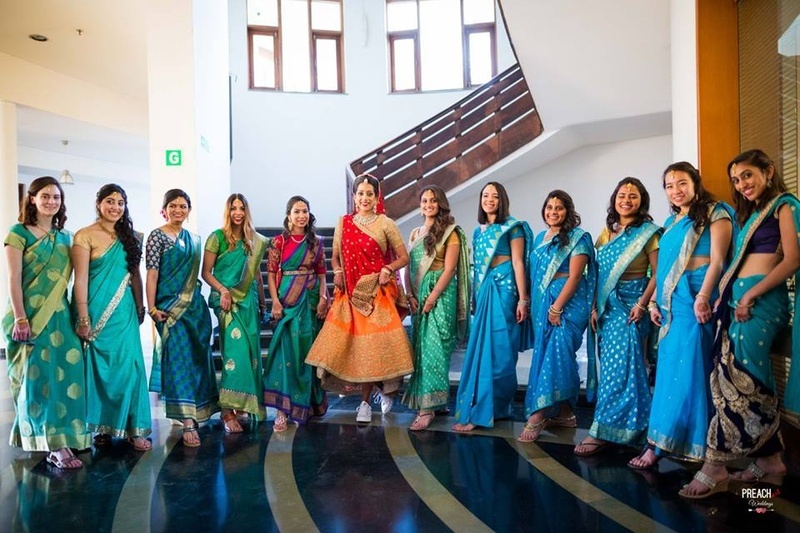 Bridesmaids dressed up in blue and sea brocade saaris for the wedding day!! 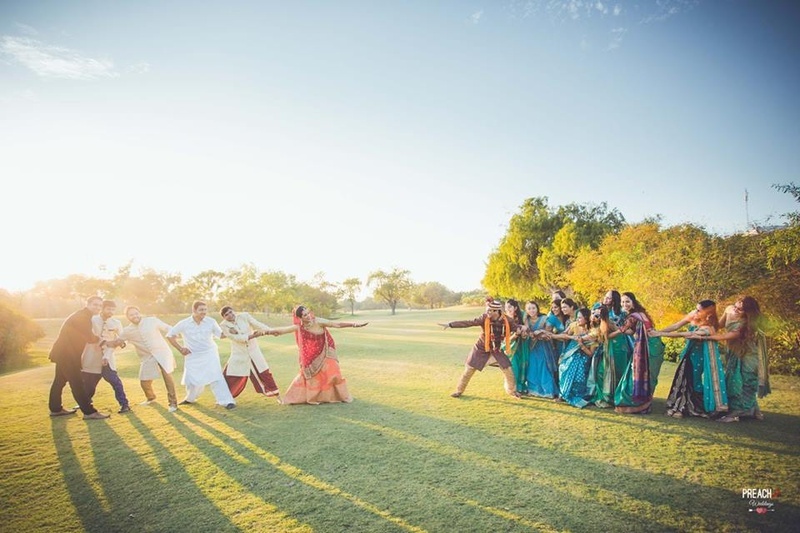 Wedding couple photoshoot by ace photographer Preach Art .